The concept is described in both books by Dr. med. Dietrich Klinghardt and Ariane Zappe and aimed at patients with complex neurological illness. 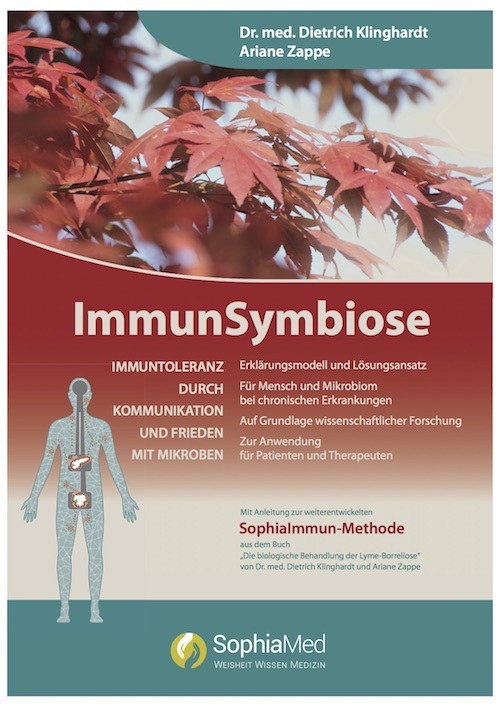 The SophiaHealth Institute Kaufbeuren, Germany is dedicated to the continuous research and development of SophiaMed® and provide treatment in accordance with this concept. Restoring normal and rather narrow physiological parameters, as well as increasing resilience on an energetic, emotional and mental level. The detoxification and thus liberation from blocking substances of our receptors, metabolic enzymes, cell organelles and DNA itself. Immunomodulation: The immune system is in a state of chaos due to the numerous attacks. We try to return it to normality with our methods. The reorganization of all microbiomes in the environment of the patient and in the body with the reduction of pathogens whilst supporting the growth of the living microbes. The restoration of a life-affirming environment for microbes in us and our environment, reconstitution of the greatest possible microbial diversity. The detoxification and thus liberation of human AND microbial receptors, metabolic enzymes, cell organelles and DNA from blocking substances. The immune modulation: The immune system shuts down partially due to continuous attacks and system overreaction resulting in a state of chaos. We apply our methods to return it to a functioning state – the core of immune symbiosis. 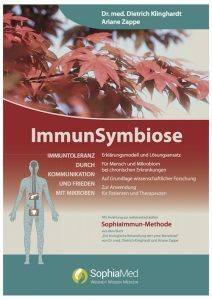 The reorganization of all microbiomes and expansions of germ bodies in the environment, in the patient’s environment and in the body with reduction of the pathogenicity of germs and support of the growth of living germs. This happens mainly by loosening the emotional-mental background of the dissipative structures and in the subsequent dialogue with the organs and our immune cells, as well as the restoration of communication via standing waves by frequency means or the mirror method described later in more detail.